Home » News » Now, fly to Chennai at Rs.999 ! Now, fly to Chennai at Rs.999 ! Mysuru: It is raining offers for passengers flying between Mysuru-Chennai. TruJet has introduced the monsoon offer at as cheap a rate as Rs.999 between the two cities. However, there is a catch. This offer is only for those who book in advance online and not for those who buy the tickets at the Airport counter who have to pay the regular fare of Rs. 2,500 onwards. The offer ends on Aug. 4. Hence, there is only two days left. But the good news is that this offer is valid for two months of August-September and one can book the ticket online in advance for any day in these two months before Aug. 4. 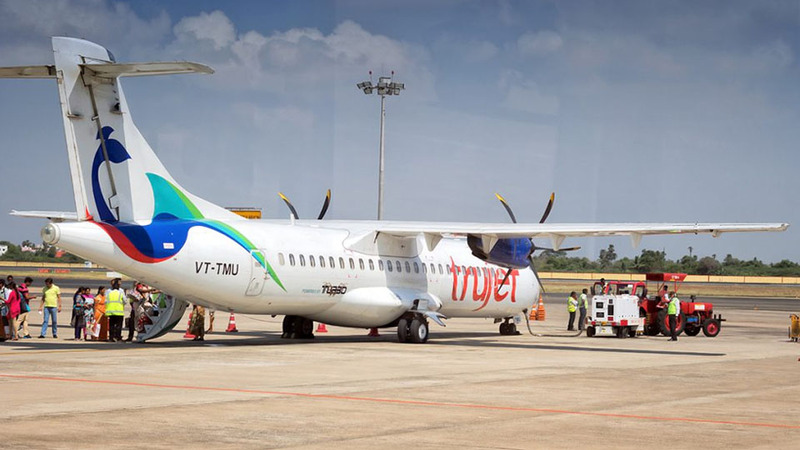 TruJet is a 72-seater aircraft and there is good response as more and more people are finding it convenient to fly between the two cities, said Mysuru Airport Manager T.A. Gurunath, speaking to Star of Mysore today. Every citizen in the country should be able to fly and hence Prime Minister Narendra Modi introduced the UDAN (Ude Desh ka Aam Naagrik) regional connectivity scheme where the fare is capped at Rs.2,500. 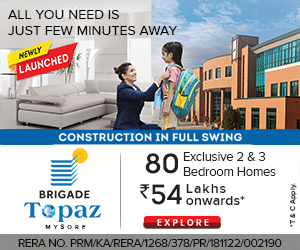 Since there is a huge discount offered even on this and now the online booking fare is just Rs.999, which is much less than the cost of Shatabdi fare between Mysuru-Chennai (around Rs. 1,010 for Chair Car and Rs. 1,860 for Executive Class), the response is expected to be really good, said Gurunath. 635 traffic violation cases on this scooter! After seeing this news of Rs.999 to Chennai, we tried to book tickets on 2nd August evening, but the offer was not at all there! Then we inquired with Truejet customer services, he informed that only a few seats per day like 5% will be on offer and not all the tickets are on discount sale. But SOM report did not mention this important point. Due to this, we had to waste so much time in trying to book ‘on sale’ tickets which were not there at all. Going forward, the reporting has to be precise and to the point.